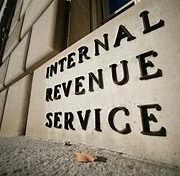 The IRS has announced increased contribution amounts for various types of retirement plans in 2019. See here for details. 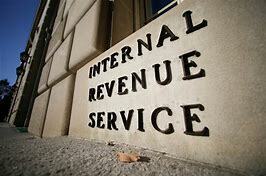 The IRS has a website with some useful information for taxpayers but is their information always accurate? This morning I was looking at a news release from their site containing a table comparing business tax provisions before and after TCJA. Here’s a snippet from their explanation about the new limitation on deducting business interest. Unfortunately the opposite is true. Businesses with over 25 million in gross receipts are subject to the new limitations while businesses with gross receipts of 25 million or less are exempt. I suppose that they will eventually find and correct this error, but I would suggest that if you want accurate advice you go to a competent tax professional to verify what you see from the IRS. We at L&S Tax Services can help you with any questions you may have about how the new changes can affect your individual situation. Wesley Snipes loses to IRS again. After serving 3 years in prison for failing to file tax returns and filing fraudulent claims, Wesley Snipes still can’t win with the IRS. He owed roughly 23.5 million in federal taxes and filed an Offer In Compromise offering to pay roughly 850,000 to settle his debt with the IRS. The Offer In Compromise program allows people to settle their debt by offering less than they owe, but the offer will not be accepted by the IRS unless it reflects the RCP. (Reasonable Collection Potential) The IRS originally calculated his RCP as over 17 million dollars. Their investigation showed that he owned numerous assets through various entities he controlled. After further negotiations they reduced their calculation to 9.5 million dollars. Wesley appealed their decision to tax court but lost again. He couldn’t convince the judge that the IRS position was wrong. The Offer In Compromise is one of several alternatives available for someone who owes back taxes. A competent tax professional such as an Enrolled Agent can assist you in determining the best options available for your given situation.